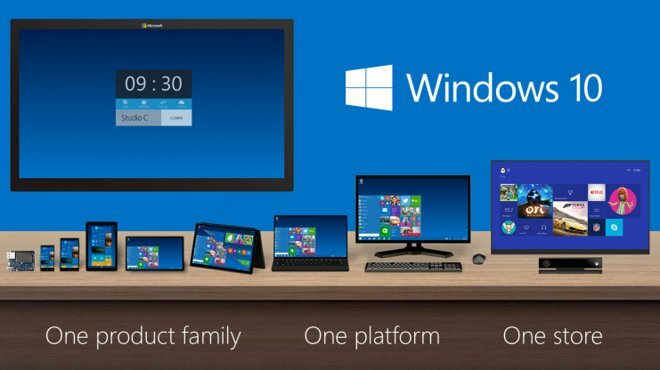 Microsoft on Wednesday announced that Windows 10, its next-generation desktop and mobile operating system, would be offered as a free upgrade for users running Windows 7, Windows 8.1, and Windows Phone 8.1. The change in pricing strategy comes amid a broader shift within Microsoft to view Windows as a service, rather than a product. Another anchor of that new policy is the expansion of Windows 10 itself into smaller devices, including smartphones, supplanting Windows Phone. Apple began offering OS X upgrades at no charge with the release of Mavericks in 2013, while iOS upgrades have been free since the mobile operating system's introduction. Alongside the updated pricing, Microsoft also announced a slew of new features for Windows 10. Among them are an Action Center view that closely mirrors the functionality of OS X's Notification Center, a desktop version of Microsoft's Siri-like Cortana virtual assistant, and integration with the Xbox gaming ecosystem. A new, universal messaging app will also allow users to maintain a single conversation with a person through multiple mediums, such as Skype and SMS. New Windows 10 preview builds will be available for desktop users next week. The company promises phone-compatible builds in February.